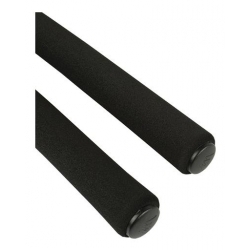 Foam handlebar grips are an inexpensive way of reducing transmission of vibration from the road to your hands. 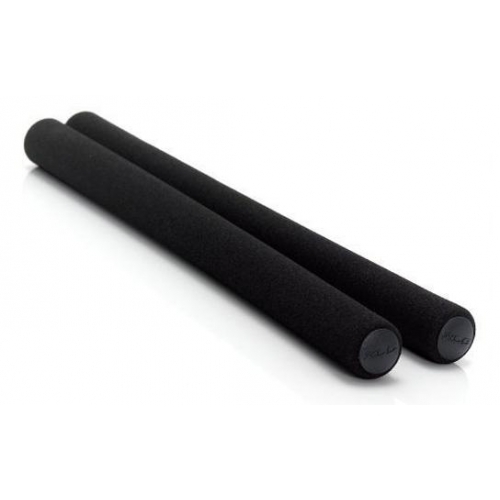 These are a set of two pieces, made of black rubber sponge. You may want to lubricate them with water to get them onto your handlebars. They're a good choice for covering Butterfly handlebars or, cut in half, for more comfort on dropped handlebars. 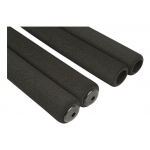 This foam rubber is very flexible and can easily be cut down to make smaller pieces. It is used for handlebars on velomobiles and other recumbents. For North Road or straight handlebars, please see our range of other types of handlebar grip.